You may think you are a good hockey player, but will it’s the often the opinion of a single hockey scout that will determine the fate of your playing career. Can I attract the attention of a hockey scout? Can I give them a reason to come back and watch? Can I accept their feedback constructively and make the appropriate adjustments to my game? These are important questions to ask yourself when looking to further your hockey career. What impresses your coach might not be exactly what you need to succeed. Actually it might not be it at all. A lot of times a player can get so wrapped up in self-pride that they think it’s all about their abilities, kind of a take it or leave it approach “Here’s what I do best, they better like it!”. But the truth is that it’s a big world of hockey out there. You need to make sure you stand out from the rest, not just in your spectacular abilities, but in your potential to be able to do what a future coach/team needs. Lindsay Hofford, head hockey scout for the London Knights of the OHL stated in an interview that when he watches a player, he thinks about what a player SHOULD do next. If they don’t, then he doesn’t come back to watch. Here are 5 things a hockey scout is definitely looking for in a hockey player. These are the things you’ve been working on for your entire hockey career since novice. A Hockey scout doesn’t really care about whether you can toe drag or not, he’s more interested in gauging which skills have become automated. The more automated, heads up skills you posses, the more tactically sound you will be because you won’t have to think as much or look down at the puck. How well you skate, if you’re accurate when you shoot, do you handle the puck with precision? These are all things that are absolutely vital to develop as a young hockey player, in order to be able to handle the increased speed and less time to think as they get older! Each position has a different necessary skill set based on the positional demands of the three zones on the ice. How well do you fit into the bigger puzzle? Are you well suited for the position you play? do you demonstrate qualities that make you versatile to jump into a position that the hockey scout would feel you are better suited for? How well do you play with others? Everyone can blast away at a trumpet, but not everyone is able to play in a symphony or a band. Many times a hockey scout is looking for the out-of-the-box ability to think and plug into your teammates (that Jari Kurri 6th sense). It’s not so much about what you do with the puck, as it is how you do things without the puck to make your teammates job easier. Most hockey scouts are not looking for the franchise player, as much as they are supporting roles! The guys who know how to go to, and be available in the necessary areas on the ice. No one wants to watch a player that is not supporting the team. Certain hockey scouts may have preference on how tall or how bulky they like their players. This one is ultimately not in your control, but the most important thing is to play the hand you got as well as you can. Whatever your size is, use it to the best of your ability. If you are big, you might demonstrate ridiculous strength on the puck, if you are small, speed and driving through lanes might be your thing. Either way, big or small, fat or thin, your body is your biggest asset out there if you learn how to use it! Hockey is more than a physical sport, it is a mental sport. How you act out on the rink has to go beyond your training. You won’t be able to win a game based on sheer ability. You need to think on your feet to get your way out of tough situations. A skilled player who has a great grasp on the game looks even better to a hockey scout. You should be training your critical thinking as much as your physical ability. Parents often spend hundreds on lessons for the body’s abilities, but never get into the realm of mental/situational training. It is rumored that Walter used to make Wayne trace where the puck went for all 3 periods of a hockey game and then sit and analyze where all the dark lines were. Is it a coincidence that he seemed to have this natural ability to know where the puck was always going to be? 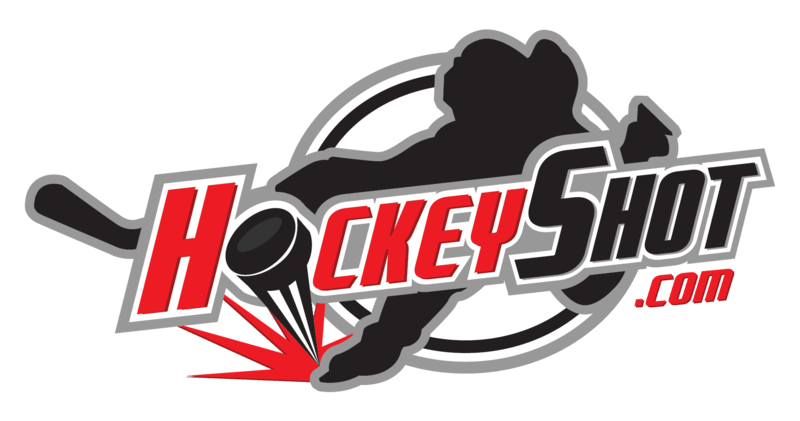 A hockey scout would urge young players to study the game of hockey in detail and develop an in depth understanding of the finer details of the game. Your skill level isn’t all that matters. A scout once told me that all scouting starts at the snack bar. See how they treat their families and friends and then decide whether or not to come back! Still not convinced? Watch the Vital Hockey 20 featuring Pat Brisson and hear what he says about Sidney Crosby. Character is incredibly important in hockey because your attitude is part of the foundation that the entire team stands on. You want to be a player who will inspire others. Lift up their spirits, make your team members want to succeed as much as you do. You can really impress scouts by your willingness to work with others, your positive attitude, your competitiveness, and your eagerness to improve. Hey I’m excited because I get to go to B.C from Alberta I play AAA in Edmonton but I get to go to B.C and develope my skills in Bantom second year my goal is to make it to the ahl and get drafted to the nhl but I wanna make juniors first. This sight has opened my mindset more as a player.